Can you believe we’re already over a week into December, Pint Jockeys? Where does the time go? We hear that Saint Arnold Christmas Ale is almost gone so we recommend stocking up, should you spot it on your next beer run. But fear not if you don’t see it! Saint Arnold’s Winter Stout is on its way to shelves near you starting tomorrow! Revisit our post about the “stoutier” of the brewery’s winter seasonals below and ENJOY! Cheers to great holiday brews! Good to see you, Pint Jockeys! You deserve a drink for making it through another Monday and we’ve got just the Texas Tuesday selection for you: the second and “stoutier” of Saint Arnold’s winter seasonals, Winter Stout. Because it pairs nicely with winter favorites like desserts and roasted nuts, the brew will get you through those lingering (but maybe not-so-brutal) Southeast Texas winter days. And did you know? Available only between December and February, Saint Arnold brews less of this loosely filtered stout than of any other seasonal. We guess in this case, good things come in small batches. Well, we couldn’t have said it better ourselves. A new Icon series release from Saint Arnold Brewing Company makes for a merry holiday season indeed! This month we welcome Icon Red to local stores and establishments, just in time for all of your upcoming holiday festivities. Saint Arnold’s Icon series is comprised of special beers released for about three months at a time. Each is unique and often iconic of a particular beer style. It’s not tough to imagine sipping this by the fireplace on a cold night or enjoying it with friends at a holiday dinner party is it? We hope you’ll try this great new “icon” and let us know what you think of it in the comments below. Cheers to great beer and great times ahead this holiday season, Pint Jockeys! Saint Arnold’s beloved Sailing Santa is sailing into stores on November 17th! The brewers are set to release about 12,000 bottles of this annual holiday beer, a 5.7% ABV beer that’s made from a blend of Saint Arnold’s Elissa IPA and Christmas Ale. These two favorites are blended in a fermentor along with delicious, aromatic spices, three different American hops and three different malts. So pick some up before next weekend’s game and save a few back for future holiday celebrations. With cooler weather moving in and great holiday beers soon to release, we’re certainly getting in the spirit around here! Check back next week as we bring you another Texas Tuesday pick of the week. Cheers, Pint Jockeys! Halloween is almost here! We know you’re gearing up for Friday’s festivities, and stocking your fridges with the best Oktoberfest brews of the season while you still can. If you haven’t experienced Rahr & Son’s Oktoberfest yet, may we suggest you do. Released all the way back in August, this stuff is now down to limited availability. And there’s good reason why – it’s really, REALLY good. Rahr’s Oktoberfest Celebration Lager is a traditional Marzen-syle Oktoberfest lager. Dark in color and super smooth, it is medium bodied with a sweet, malty finish. Brewed with Magnum hops and 2 Row, Vienna, Cara Munich III and Melanoidin malts, it pairs well with traditional German foods like Schnitzel, Pretzels and Spatzel. Serving up a cheese platter at your Halloween fest? The brewers say the beer pairs best with Mozzarella and Gouda. They also mention that it’s surprisingly delicious with spicy Mexican foods. We hope you’ll give this one a whirl before Winter Warmer and more take its place on shelves. For full details on this stellar selection, check out http://rahrbrewing.com/all_beers/oktoberfest/. Happy Halloween in advance, Pint Jockeys! Stay safe, designate a driver and we’ll catch you next week with another Texas-born craft beer pick of the week. 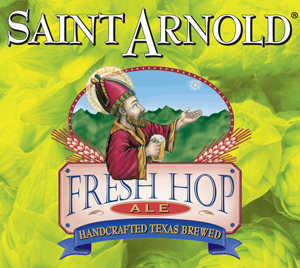 According to the brewers at Saint Arnold, when hops are harvested there is a 48 hour period in which they can be used fresh in the brewing process. This year, they had 420 lbs. of fresh Centennial hops air-shipped to them and quickly realized they would use them to make their first ever Session IPA – Fresh Hop Ale. Fresh Hop Ale is “pure,” containing no additives or preservatives. It is not pasteurized in order to maintain the freshest flavor possible, and avoid losing any of the beer’s many subtle, delicate flavors that would not survive the heat of pasteurization. This is a single-hop beer and comes in at 5.25% ABV and 69 IBUs. It’s a very drinkable beer that incorporates freshly harvested Centennial hops toward the end of the boil in addition to the typical hop additions you’d expect in a regular IPA. The fresh hops give it a unique, slightly softer bitter than the traditional dried hops would and it’s recommended that you drink the beer quickly to fully appreciate and experience these special hop flavors. Fresh Hop Ale is now on tap at select establishments around town only. That’s right, folks – this stuff was made in such small quantities that nothing was bottled! So enjoy it while it lasts! When it’s gone, it’s gone until next year. Have you seen it at any of your favorite bars yet? Let your fellow Pint Jockeys know where you see it pop up in the comments below and join us again next week for another Texas Tuesday pick. Until then, Pint Jockeys. Cheers! As many of you well know, Texas country music and Texas craft beer make for one unbeatable, unforgettable combo. Brace yourselves, Pint Jockeys, because one of your favorite country music legends is teaming up with one of your favorite breweries in the Lone Star State – and you won’t have to wait long to have your first taste of what’s to come! 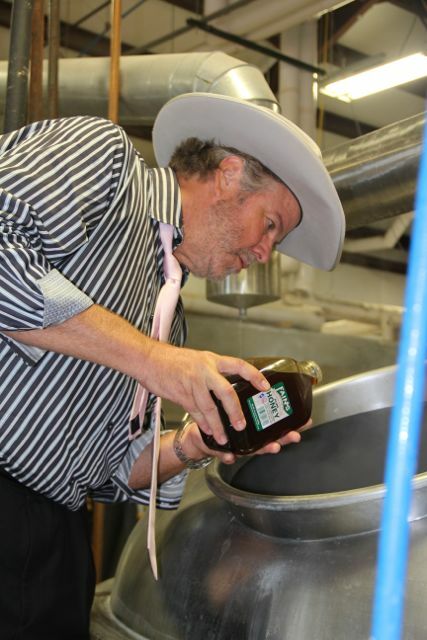 Country music star Robert Earl Keen has teamed up with Fredericksburg’ very own Pedernales Brewing Co. to release his first beer, a Honey Pilsner. The brew uses honey from Fain’s Honey in Llano, Texas and is technically classified as a classic Pilsner. 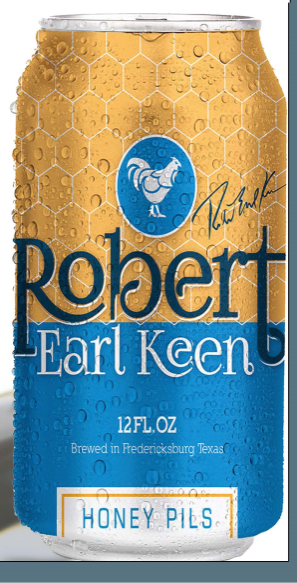 Throw in a little twist with hints of honey and there you have it – Robert Earl Keen Honey Pils. The beer is set to release in mid-October in 12 oz. cans and kegs at retail stores and bars near you! The folks at Pedernales say that their partnership with Mr. Keen may not stop at the Honey Pils, noting that they have some plans brewing for another release under the Robert Earl Keen label – perhaps a Raspberry Hefeweizen – as soon as Spring of next year. We will, as always, keep you posted on any further updates! 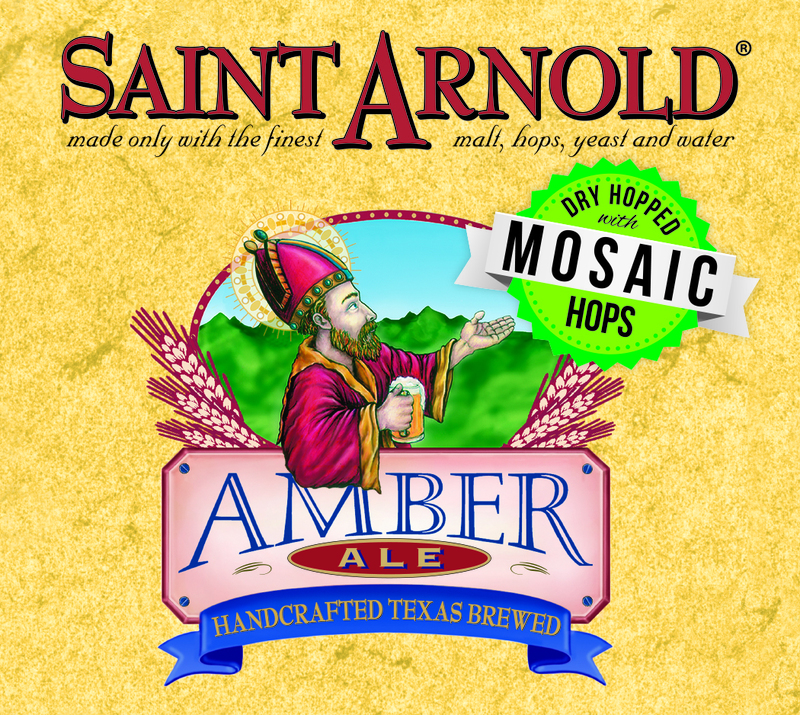 Saint Arnold Brewing Co.’s dry hopped Amber Ales keep on coming and we are NOT complaining! This third and final release in what has been a FANTASTIC series is available in 22 oz. bomber bottles and on cask at select establishments. We hope you’ll get your hands on some while you can and let us know what you think. We’ll see you back on the blog next week with another Texas Tuesday pick. Cheers, Pint Jockeys.